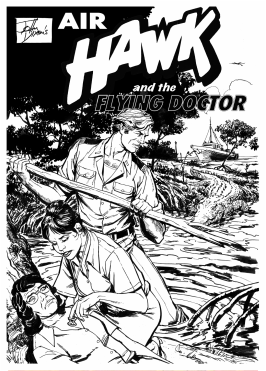 John Dixon's Air Hawk and The Flying Doctor: Volume 3 - Australian Comics! Comicoz: SHARING our Comics with the World. A Third Volume or "The Best of..."
Well, everything is just ready for you to order! John's thoughts on the adventures published in this volume, including some of the inspiration for the stories were planned on being listed, but John's illness at the time made that impossible. Sadly.